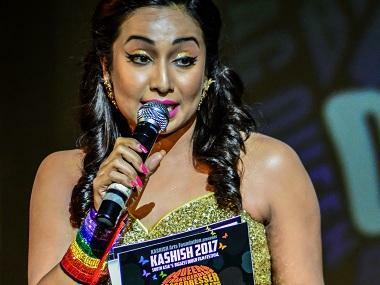 The Kashish Queer Film Festival is full of interesting functions and activities. Here is where people meet, interests meet, geographies meet. It is also a place where minds open up to the idea of inclusion and acceptance in the larger sense of things. The trigger for all of these is cinema. The days of Kashish are no less than any magnum opus. People strengthen their ties, build conversations, and some also kick-start new friendships, and sometimes, new romantic relationships. I am not saying it. Parmesh Shahani, the head of India Culture Lab by Godrej is saying so. He told the august audience that he found his boyfriend at Kashish. The man in Parmesh’s life is still a mystery. I don’t know how many people have met him. Hopefully, Parmesh will do the honours of introducing the world to his other half, in a while. Okay. I am digressing, like the queer world does, when it comes to the subject of love affairs. Coming back to Kashish, which has been a festival of lights and delights, affairs and camaraderie. One of the most riveting panel discussions was organized on 27 May. 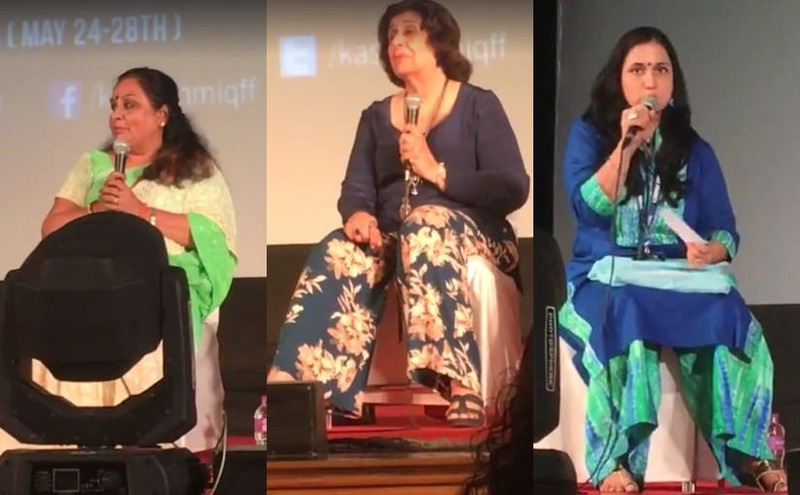 The panelists included Pallav Patankar (Ex-Humsafar Trust), Pradeep Divgikar (Sushant Divgikar’s Dad), Nargis Wadia (Roy and Riyadh Wadia’s mom) and my mother, Padma Iyer. The session was moderated by the lovely Alpana Dange, who has been associated with the Humsafar Trust and research based on LGBTIQ issues for over a decade and a half. One lakh rupees from a fundraising exercise for Sridhar’s film Evening Shadows was reserved for this cause as a part of the campaign itself. A group of parents met up to have a focused group discussion on the issue of parental acceptance and the parents' movement in the LGBTIQ context. This panel discussion used the meeting as a context. The discussion travelled from social acceptance to legal roadblocks to equality. As usual, Pradeep Divgikar spoke passionately and compassionately about the law, about how he accepts his son unconditionally, and that he and his partner Bharti will support other children. This sentiment was echoed by Padma and Nargis as well. Parmesh Shahani, who was in the audience, made an important point about inclusion. He believed that it was important to include someone like Gauri Sawant (of the Vicks advertisement fame) in the conversations. The discussion was followed by the release of the trailer of the film Evening Shadows where the audience got a glimpse of the high voltage drama. The launch of the trailer was an emotional moment for the cast and crew who were all teary eyed at the trailer launch. The good thing about this film is that it isn’t marketed as some sort of a niche-arty-crafty film, but as a film that is worthy of a mainstream release. The film is about a mother’s struggles in accepting their child’s sexual orientation. The trailer was riveting. One may or may not be a fan of Sridhar’s films, but one ought to watch this trailer with an open mind.